Established in 1981 as a family owned and run company Classic Car Services has evolved into one of the leading car interior specialists in the country. Over the last 30 plus years the company has built a very good, solid and reliable reputation within the motor industry and its private client base, providing a guaranteed, approved service. Classic Car Services has recommendations from many of the main dealerships across the UK, such as the Sturgess Group, Bentley Leicester and Cambridge, Stratstones in Nottingham and Chris Variava in Nottingham. Classic Car Services provide a fully bespoke car upholstery service. 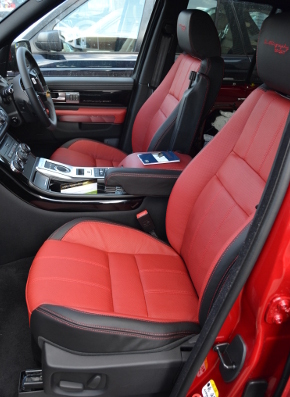 Whether it is a single panel replacement to a damaged seat cover or a fully bespoke re-trim in materials such as the finest leathers, Alcantara, Dinamica, vinyl’s or cloth. Classic Car Services started by working on classic and vintage cars but soon found themselves transferring the skills to more modern car interiors. The company now provides for all makes and models with the aim to restore, recreate or individualise your car’s interior.